Commercial Services - Flaggship Landscaping, Inc.
Hassle-free commercial property maintenance is a specialty at Flaggship Landscaping. To succeed with your project, we’ll ask about your unique needs and we’ll tailor your service to suit your building and your business tenants. We go beyond the standard snow removal, seasonal cleanups and lawn mowing to do what it takes to get the job done. 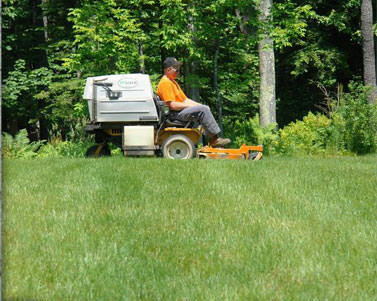 Flaggship Landscaping provides a full menu of landscaping services for your Maine Commercial Property. We proudly serve Greater Portland and Southern Maine. We welcome the opportunity to discuss your commercial property needs. To learn more about the extraordinary results you’ll receive from Flaggship Landscaping, please call our office at 207.510.7777. As a commercial property owner, I’m in the ‘happy tenant business.’ I don’t receive complaints from unhappy tenants because Flaggship is on the job. They handle the snow removal and the year ‘round property maintenance. The exterior of my building always looks professional. Gary L.